Nick Jonas‘ rumored fiancee, Priyanka Chopra, seems to have just put the speculation to bed — ’cause she’s got a big rock on THAT finger … which may or may not have been meant to be seen publicly. 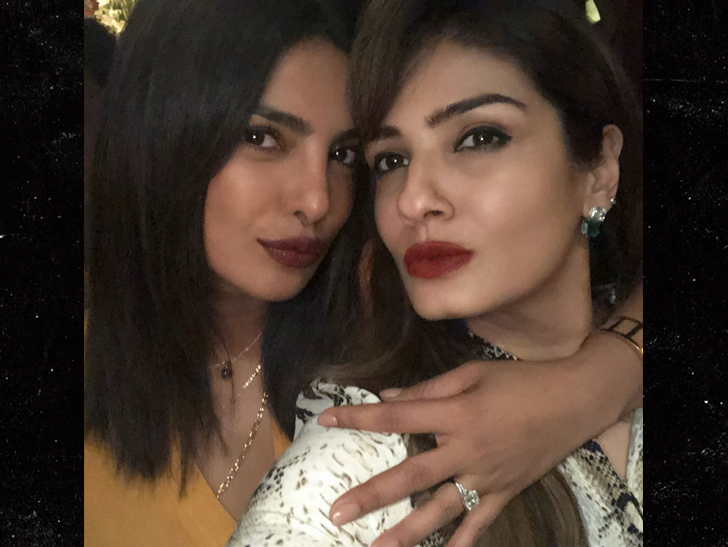 Actress Raveena Tandon posted a shot of her with Priyanka Tuesday with Priyanka’s left arm wrapped around her neck — placing her ring finger on full display. Yep, that’s an engagement ring alright … and it looks like the youngest Jo Bro shelled out big time based on how big it is. Now, we’re not jewelers or anything — but this bling doesn’t appear to be as elaborate as the one Joe got for Sophie late last year. Whatevs though. Dude put a ring on it — and that means Priyanka’s officially off the market. Sorry, fellas.